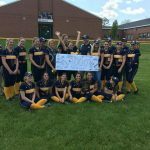 Monday, April 10, 2017 4:00 PM Durand High School AWAY 0 Dansville High School HOME 5 Game Recap Erin Hunt didn’t allow a single run as the Lady Spartans defeated Durand 5-0 on Monday. Hunt allowed just one hit and struck out B VanRiper to end the game. The Lady Spartans grabbed an early lead. 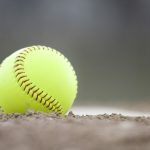 Girls Junior Varsity Softball, Girls Varsity Softball · Apr 11 Softball Field Farewell!